Top Things to Do In NYC This Holiday! Merry Christmas to you all! So happy to have my very first Christmas with you all! Throughout the years, I realize that Christmas is really a full week of festivities leading the way to the New Year! What fun can we have this week? I’d like to share some fun and festive options with you all who are in NYC! Rockefeller is a no brainer! If you want to see the most famous tree in New York, definitely visit Rockefeller! 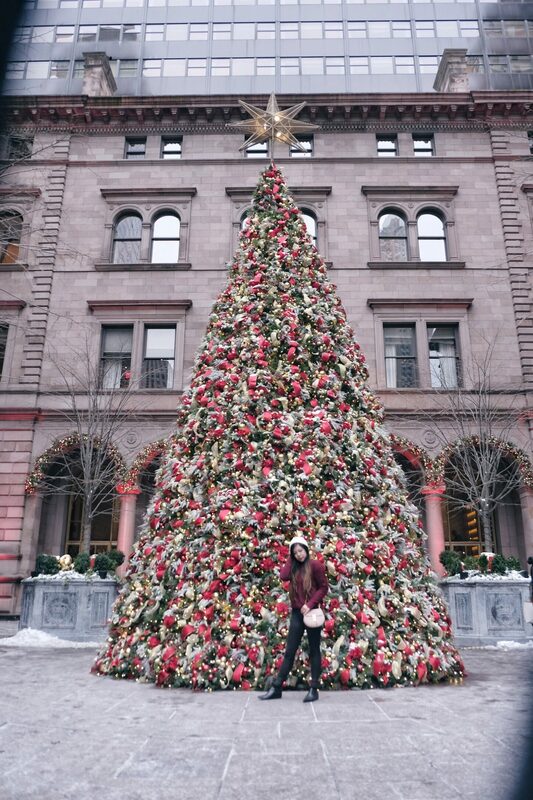 However, if you just want a picture with a pretty tree – my suggestion would be, to go to Lotte Palace New York and take a look there as well. The tree and area is stunning and it is only about a five to ten minute walk away from the tree at Rockefeller Center! To see the beautiful displays! If you’re in New York, a not to be missed activity is to see the beautiful festive window displays of department stores. The display at Macy’s Herald Square is always stunning. However, if you want to see a whole bunch of different ones – Fifth Avenue is your best bet! Walking down Fifth Avenue, you will pass by a bunch of department stores with displays. My favorite this year, is “Once Upon a Holiday” from Saks, which feature the whole story of Snow White! Definitely pop by and see for yourself! During this time of the year, there’s always a bunch of fun pop-ups here and there! My favorite picks would be the Candle Power Pop-up in Soho, hosted by Yankee Candle. The candle scents are a bunch of fun to explore. However, it’s definitely a fun photo opp for you and your family and friends! It is here until January 3rd, so catch it quick! 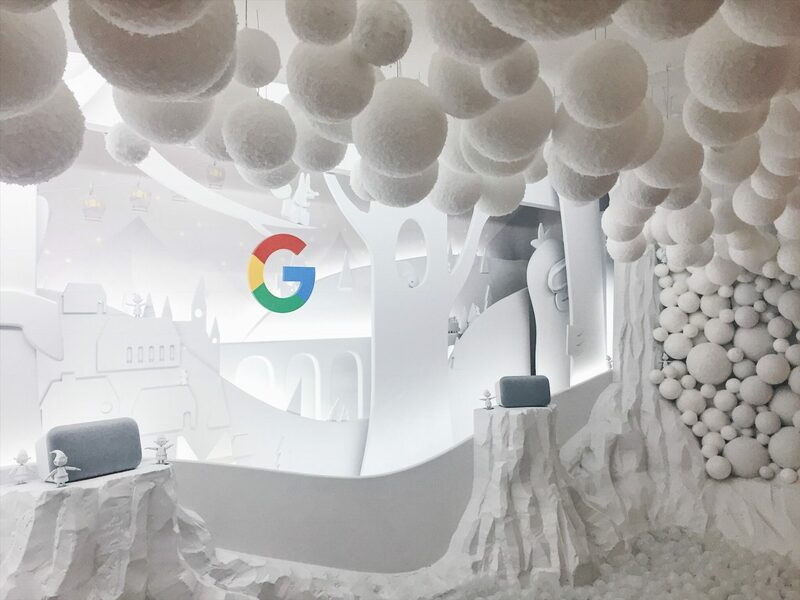 Another fun pop-up would be the Google Store in Flat Iron! Imagine, swimming in a full sea of balls and just drowning in fun with friends! That – and free hot chocolate with your face printed on the marshmallow. Cheers! PS: This one will only run until December 31st! So be QUICK! To an unforgettable designer exhibit! 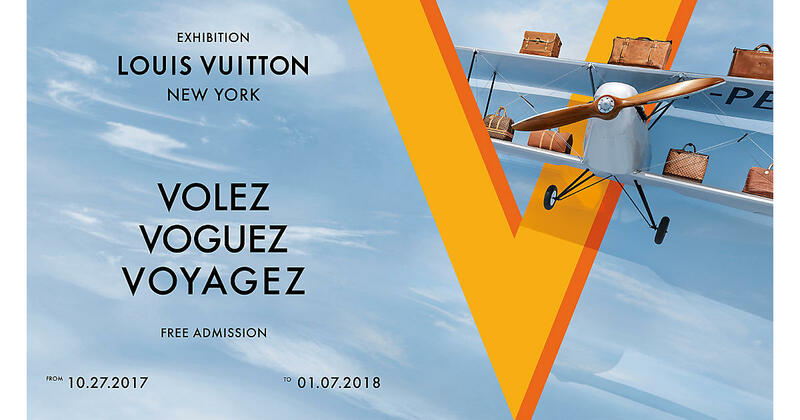 If you’re into exhibits and museums, the Louis Vuitton VVV (Volez, Voguez, Voyagez) would be a good one to go to during this time! This is also a pop-up exhibit, and will only run until January 7th! It is free admission and you can reserve tickets here. Drop by and see all the beautiful vintage and new designs from LV and learn more about the brand’s history! Not to mention, you will also receive a free Louis Vuitton pin at the end of your tour! Consider it a Christmas gift! To a romantic and festive brunch… lunch…. dinner! May I suggest Rolf’s Bar and Restaurant? 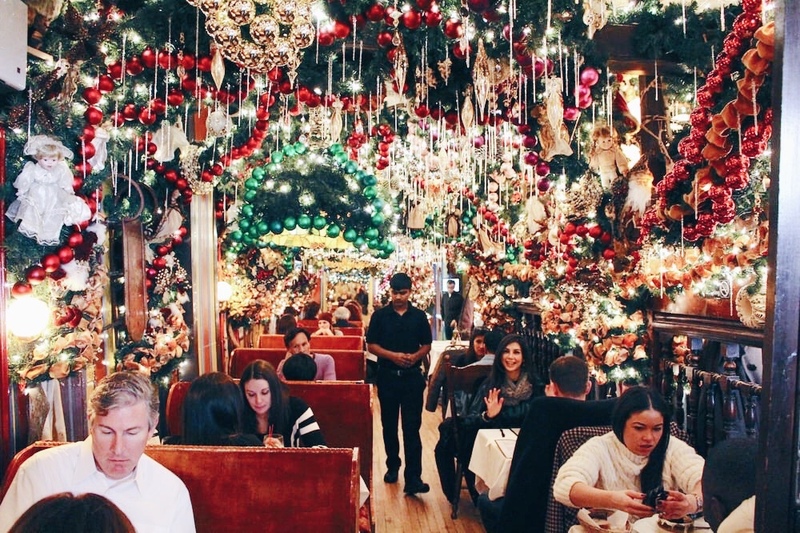 It’s probably the most festive restaurant in town. There is really no end to the displays! Absolutely stunning and gorgeous! Yes. Expect long waits. But, it’ll be so worth it to dine in this festive wonderland. To see the holiday lights! Nothing beats the array of holiday lights in Dyker Heights, Brooklyn. This neighborhood s the biggest display of lights in New York. Every year is a must see! For more information on how to get there, definitely check this out. Most of all, enjoy the holidays with your family, friends, and loved ones! Hope you all have lots of fun-filled times! Let me know how YOU plan to spend the holidays! Next Post Hello 2018. Farewell 2017! These are all great things to do, that tree is so beautiful and the art exhibit looks like such a great one to see and visit. Thank you for sharing. I wish I could go to New York this holiday! everything you mentioned sounds amazing! i wanna go and try it all! These are all great things to do in NYC during the holidays! But I LOVE going skating at Rockerfeller Center, do you? I haven’t gone ever! Weird for someone born and raised in New York huh?! Would love to try it upon your recommendation! How fun! I just love NYC. I was there years ago and hope to go back. I’d LOVE to go during the holidays. It looks so magical! I’ve never been to NYC but it looks like the holidays would be an amazing time to visit! These are good ideas for entertainment. I would love to visit NYC around the holidays! It looks like there is so much to do! I would love to experience dining in Rolf’s Bar. The decorations are stunning! So pretty and festive. The Christmas tree at the Rockefeller center. What a pretty site for a photo op with the family! Ahhh NYC has to be so dreamy in december! New York is a great place to spend holiday. A lot of things to see, lot of things to do. And so much fun! I totally like your pictures! You look so awesome in your outfit. New York is my favorite home. I rarely visit in the winter, but these are great places to go. 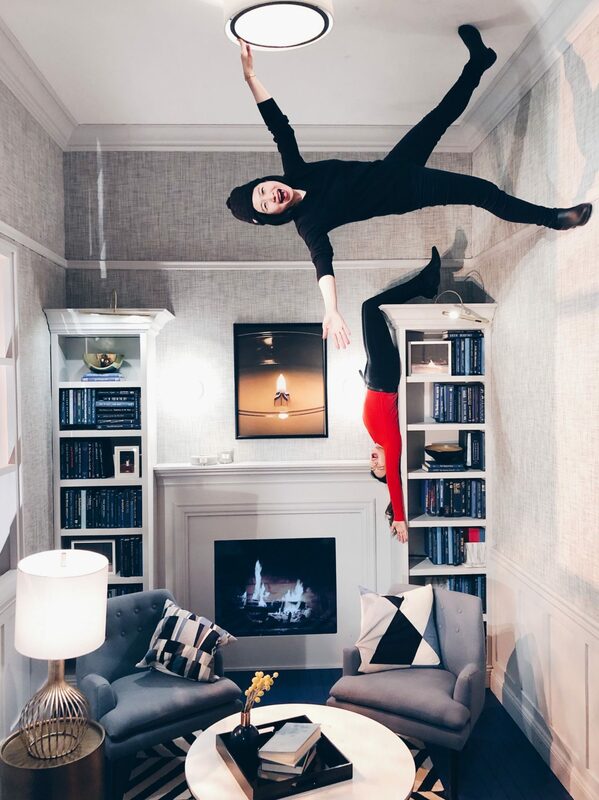 I love art exhibits. Wow beautiful photos! I would love to visit NYC for holidays, my hubby and me always have this moment of traveling on holidays but this year we decided not cause early next year we’re going to my homeland. Hopefully one day I can visit NYC and spend my holidays there. Thanks for sharing this wonderful articles with us! These are great places to spend the holiday. I’d love to visit the exhibits . It looks so fun. I would love to visit NYC for the holidays . These are such unique experiences! The Rockefeller tree is absolutely spectacular! I love the intricacies of the decorations on the tree! The Google store is also fun! I wish I could get to see that, because I know for me it would be fun to see, but unfortunately I have to work. It looks like so much fun! Happy holidays! You can never get bored in New York City. There is so much to do here. That Christmas tree is huge. I am sure NYC has a different vibe altogether during the Christmas. I would love to wander around the city to see the lights. The tree is is the most beautiful one I have ever seen. The window displays are amazing. These displays are wonderful.Tree at the Lotte Palace is amazing and huge.I’d love such holiday walks which can change my mood. Glad you enjoyed NY. Indeed, there are so much fun things to do in this city, especially during the holidays. Lots of really photogenic scenes and places too! New York New York, a city that deserves to be said twice because it is that good! i so want to visit it now during time! i would love to check out Rolf’s Bar and Restaurant! These loom like really fun things to do this holiday season. I would love to visit NYC around the holidays as I love how decorated it is. I am going next summer and am thrilled but I feel like I’m going to be missing out on all these beautiful decorations. NYC looks beautiful in winter time! An awesome post to read the last day of the year. NYC does seem magical at this time. The pics are amazing. That tree is incredible. I’ve never seen one so big. I’ve got NYC on my bucket list and I want to go during Christmas when I go. There’s so many things to do. I’ll add your list to mine as well. I want to go next year for the holiday. I haven’t traveled proper in awhile. Wow. This is an excellent list of things to do in NYC in the winter. I would have never known about these otherwise. Now I really want to experience it for myself. These are all great things, that tree is so beautiful and the art exhibit looks like such a great one to see and visit. It seems that you had a lot of fun. 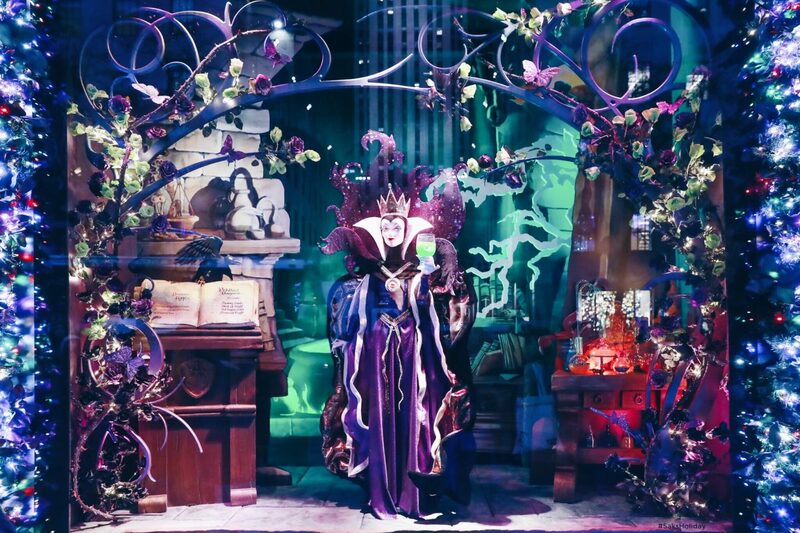 That maleficent figure is amazing. I adore the beautiful lights in the city during times like this. I love holiday lights in NYC, they are so beautiful and festive. Its one of my dreams to visit NYC at Christmas, ever since I saw Home Alone I have always wanted the whole big white Christmas over there! There sounds to be so much to do! I’ve never really thought about visiting NYC before, but this list has made me reconsider. So many awesome things to check out! I wish I am near! I just love everything in this list. So many fun things to see and experience! New York looks wonderful for the holidays. I envy you’re there. I hope that at least one Christmas will be in New York. I have never been to Newyork seriously. I dont know when i wll visit such places but your shares makes me to have a visit there.. Lovely one. I really want to visit NYC this August but I think December would be much more fun! Thanks for the photos! It really makes me want to go now!